When you're a 4-5 team in the NFL with preseason expectations of making the playoffs, the last half of the season has a lot of of must-win games. This week is no different. The Dallas Cowboys face another 4-5 team in the Atlanta Falcons who is also looking to keep their playoff hopes alive. Both teams are still in the hunt, but have slightly different paths to get there. The Dallas Cowboys would probably have to win the NFC East to make the playoffs with the Falcons only real chance coming via the wild card. The New Orleans Saints look to be the kings of the NFC South this season. In order to stay in the hunt, the Dallas Cowboys are going to need a huge defensive effort against a fierce Atlanta Falcons passing game. Through the first nine games, the Cowboys have provided reason for optimism that they can slow down Matt Ryan and company, but they've also had some porous efforts this season. 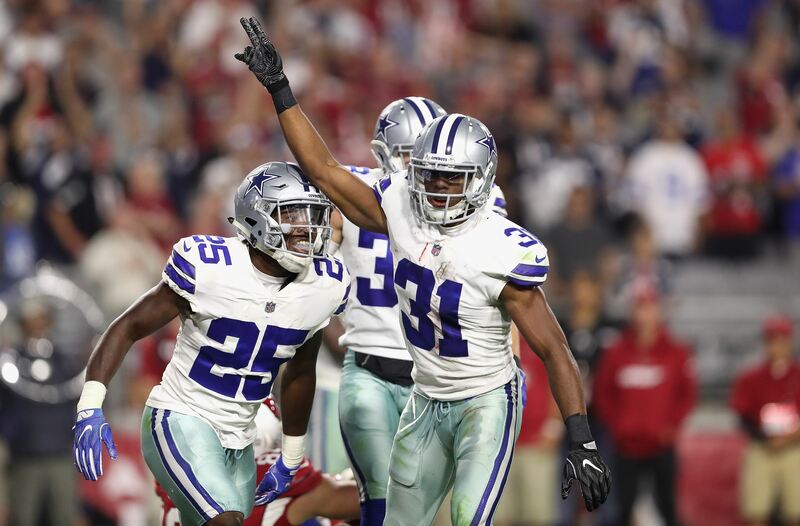 The front seven of the defense has played pretty well through the first nine games of the season and Byron Jones has been one of the best corner backs in the league. They've had problems on the left sde of the defense with Chidobe Awuzie and with the safeties. The Cowboys will face a really difficult challenge as they travel to face the Atlanta Falcons passing game led by Matt Ryan and Julio Jones. Matt Ryan is in the top five in most passing categories including yards, touchdowns, passer rating, completion percentage, and leads the league in passing yards per game. In yards per attempt, net yards per attempt, and air yards per attempt, Matt Ryan is sixth in the NFL. As you can see from the chart above provided by Next Gen Stats and NFL.com, Matt Ryan has been average to better than average throwing to every area of the field this season. Particularly troubling is what he's doing when he's throwing to his right, which happens to be the side of the field occupied by Chidobe Awuzie. Awuzie is allowing a passer rating of 129.7 this season, which is the 15th worst number in the NFL among corners who have played a minimum of 92 coverage snaps. What's potentially more troubling than how efficient Matt Ryan's been throwing to Awuzie's side of the field is the fact that Julio Jones will play all over the formation and can beat you in every area of the field. The chances are high that we'll see Awuzie lined up against Julio Jones on several occasions on Sunday. Pray for Chido, y'all. Jones has only scored two touchdowns this year, but through nine games, he's already over 1,000 yards receiving, which is leading the NFL. Julio is fourth in the NFL in receptions and is averaging more than 15 yards per catch. 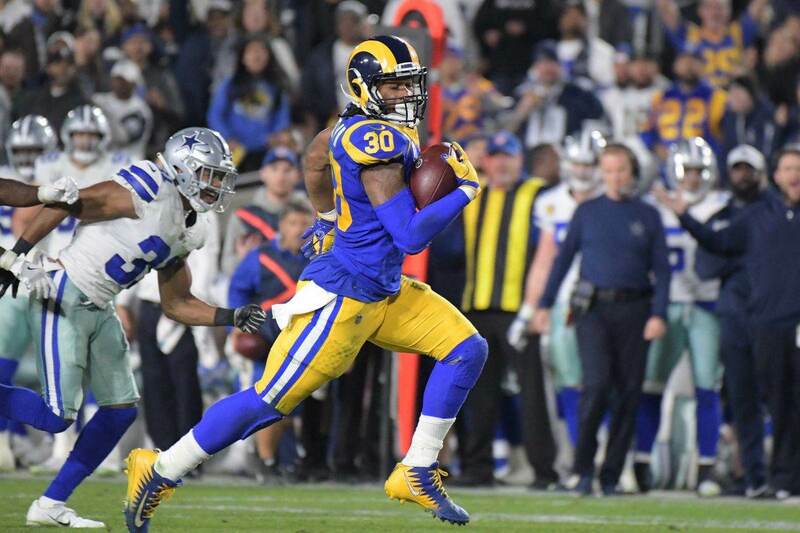 He's third in the NFL in yards per route run at 2.99 sitting behind only Michael Thomas and Albert Wilson among players with at least 20 targets on the season. From Jones' chart against the Tampa Bay Buccaneers in week six, you can see that they lined him up all over the formation and they ran him on a large variety of routes to a large variety of depths. Julio Jones is one of the best route runners in the NFL, which is scary considering he provides huge size and athleticism to go with it. As good as he's been this season, the secondary receivers for the Falcons -- Calvin Ridley, Mohammed Sanu, and Austin Hooper -- have also played well. Each of them has more than 400 yards receiving on the season. To put that in perspective, Cole Beasley leads the Dallas Cowboys in receiving yards at 403. Each of the Falcons' top four targets have more receiving yards than Beasley does. Not sure if that speaks of how good the Falcons passing game has been or how bad the Cowboys passing game has been. The Cowboys will be facing the player that fans wanted the team to select instead of Leighton Vander Esch at 19th overall; Calvin Ridley. Ridley's been excellent this season with 500 receiving yards and seven touchdown receptions. He's averaging 13.2 yards per reception. Ridley's second on the Falcons in receptions for first downs and Matt Ryan has a passer rating of 138.9 when targeting Ridley. Austin Hooper doesn't get the same publicity that Jones and Ridley do, but he's been effective this season as well. Hooper is second on the Falcons in receptions with 46, which is the fourth most among tight ends in the NFL. 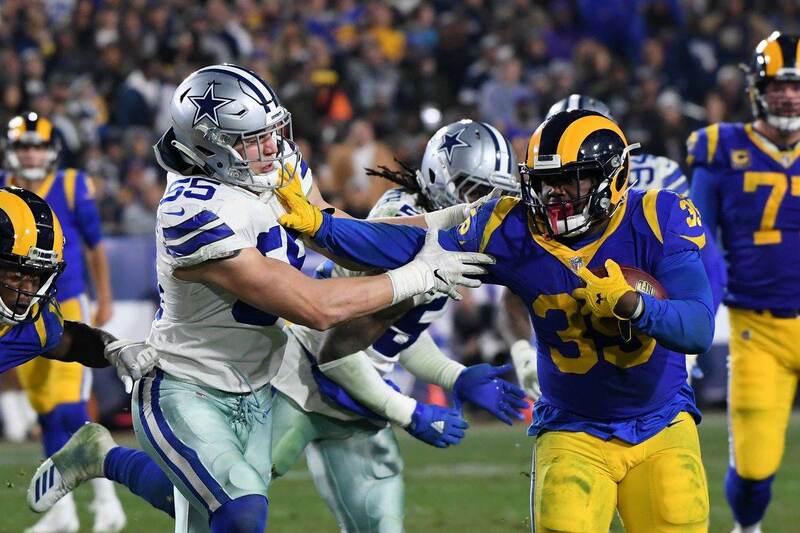 Hooper will test Jaylon Smith and Leighton Vander Esch in the middle of the field as well as Xavier Woods and Jeff Heath down the seem. Mohammed Sanu will be the matchup to watch for Anthony Brown in the slot. Though Calvin Ridley and Julio Jones will run routes from there on occasion, Sanu is the primary slot receiver. He ranks 22nd in the NFL in receptions and yards from the slot. Of his 45 targets, 33 have come while in the slot and 25 of his 34 receptions. When Matt Ryan throws Sanu's way, he's got a passer rating of 125.8. And if all that wasn't bad enough, you have the Dallas Cowboys defense as one of the worst in the NFL at getting off the field on third down. The Atlanta Falcons are second in the NFL at getting off the field on third down. 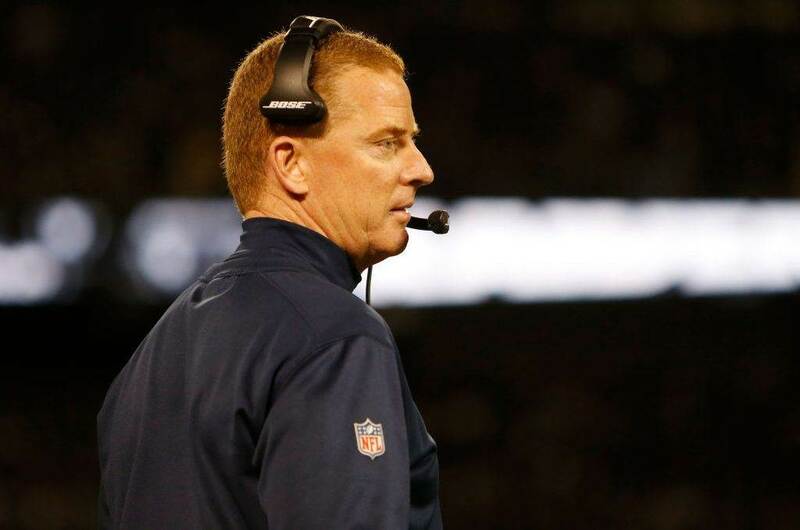 The Dallas Cowboys are likely going to give up some long drives to the Falcons, and that's ok. What they don't want to do is give up big plays to the Falcons passing attack. The Cowboys rank sixth in the NFL in red zone defense allowing teams to score on only 48.1% of their trips inside the 20 yard line. The Falcons are seventh in the league at scoring in the red zone, but have had their issues scoring touchdowns when getting inside the 20. If the Cowboys can hold them to three instead of seven, I'll count it as a successful drive for the defense. The Dallas Cowboys defense is playing really well this season and it ranks in the top 10 in most team defensive categories. However, if they have a weakness it's been in their pass defense, primarily Awuzie and the safeties. If they want to win this game and continue to get themselves back into the playoff picture, they're going to need better performances from their defensive backs not named Byron Jones, Anthony Brown, and to a lesser extent Xavier Woods. Facing the Atlanta Falcons prolific passing attack is a huge test for this defense and one that could define the rest of the Dallas Cowboys 2018 season.